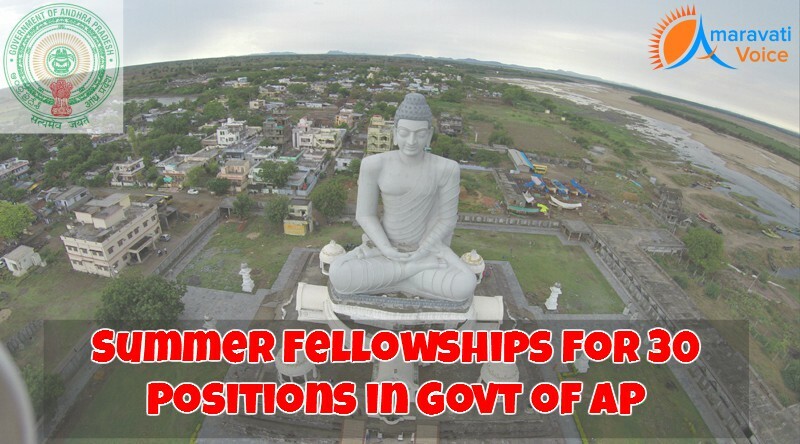 Government of AP announced that they are introducing a 2-month summer fellowship for 30 positions in the Micro, Small and Medium Enterprises Sector of the Industries Department of the Government of Andhra Pradesh. This Fellowship comes with a performance-linked stipend of up to Rs. 1,20,000, along with accommodation and travel support. Students and working professionals under 35 years of age can apply, on or before 10th April 2016. A similarly positioned Summer Fellowship commissioned last year by AP government attracted highly competent candidates from globally reputed institutions like Harvard University, Stanford University, University of Illinois Urbana-Champaign, University of Chicago, London School of Economics, Paris School of Economics, IIMs,IITs etc. It is expected that this fellowship also will also attract exceptional talent and therefore, it will not only be an opportunity for professional advancement and contribution to developmental outcomes in a new state, but also a good networking opportunity. This is your way to make a significant contribution to the state of Andhra Pradesh.